What is the most valuable mineral commodity in California, the so-called Golden State? Gold? Not hardly. We produced somewhere around 150 million ounces of the stuff over the last 160 years, netting riches for a few, and producing a sad heritage of scarred hillsides, fouled rivers and bays, and thousands of people (and their cultures) dead before their time. So what is it? California has one of the largest ore bodies in the world of borate minerals, and we produce something like 50% of the world's supply of these important industrial chemicals. But their value pales in comparison to the most precious resource. What about rare-earth elements? For several decades California was the world's largest producer of these technologically important chemicals before being supplanted by China, which now produces around 95% of the world supply. Nope, it's not that one either. There's oil, of course. We've been drilling it for more than a century, and currently produce around 200 million barrels a year. At current prices, maybe $15 billion a year. But that's not our most productive resource either. No, our most valuable mineral resource is dirt. Or more specifically, soil. Our Great Valley is covered with it, and we produce incredible riches by converting the macronutrients stored on the surface of clay particles into carbohydrates, which are then consumed in large amounts by populations worldwide. In other words, we produce food. Lots and lots of food, more than 200 different kinds. For a variety of geological reasons, the soils in the Great Valley are among the richest, most productive on the planet. Our valley, comprising about 1% of the agricultural lands of the United States (about 15,000 sq. miles out of 1,500,000 sq. miles) produces about 25% of the country's table food. I imagine that my description sounds a bit like a public relations campaign, but it's not. I was thinking about the valley, my home, as I traveled through the northern half of it on Thanksgiving weekend. For more than 200 miles, I passed one planted field after another pretty much without a break, other than a few widely spaced farm towns (Sacramento and Stockton being two huge urban exceptions). In that entire distance I could see but a view spots where the valley resembled anything like its natural condition, including the Sacramento National Wildlife Refuge near Willows, and a handful of river crossings. We have, I realized, treated our most valuable mineral resource the same way we dealt with gold when it was discovered: get as much out of it as possible, and damn any repercussions. We've tried to squeeze every last bit of profit from the rich soil, through the addition of fertilizers, pesticides, herbicides and imported water until the natural ecosystem was in a shambles. Our valley is one of the most altered landscapes on the planet. The gold miners affected a few tens or hundreds of square miles with poisons and wastes. In the Great Valley we've affected around 15,000 square miles. Of course, it couldn't be any other way. We have to eat, and the story of humans for the last 8,000 years or so is the development of agriculture leading to the development of cities and civilizations. We could not colonize a landscape like California without providing a source of food, shelter and water. The wistfulness in my thinking the other day is the fact that we did this thing with no planning, and no thought to sustainable development. The bounty of the valley was also sustaining millions of birds, grazing animals, amphibians, and fish, and we simply plowed over those habitats and many of the animals simply disappeared. It's only in the last few decades that we've started to recognize that we are truly part of a worldwide ecosystem, and that there is value in maintaining ecological diversity. 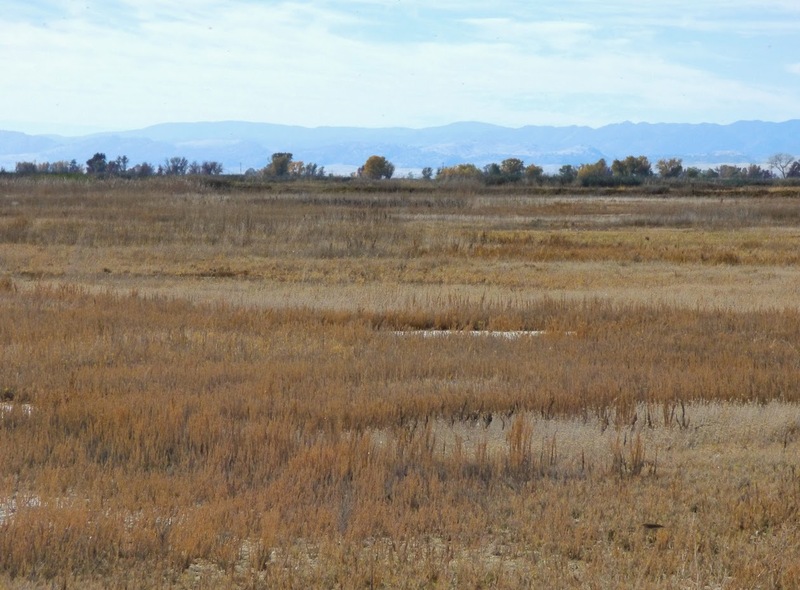 We are finally setting aside some of the leftovers of our headlong development of the valley in an effort to provide for the millions of birds, fish and other animals that have depended on the valley for hundreds of thousands of years. The Great Valley is a gigantic geological anomaly in the normally mountainous American west. It's incredibly flat, flatter maybe even than Florida or Louisiana. 400 miles long and around 30-40 miles wide, it is a vast trough that has been collecting sediments for around 140 million years, first as a seaway formed between a subduction zone and the coastline (a forearc basin), and later as a series of river floodplains and deltas. 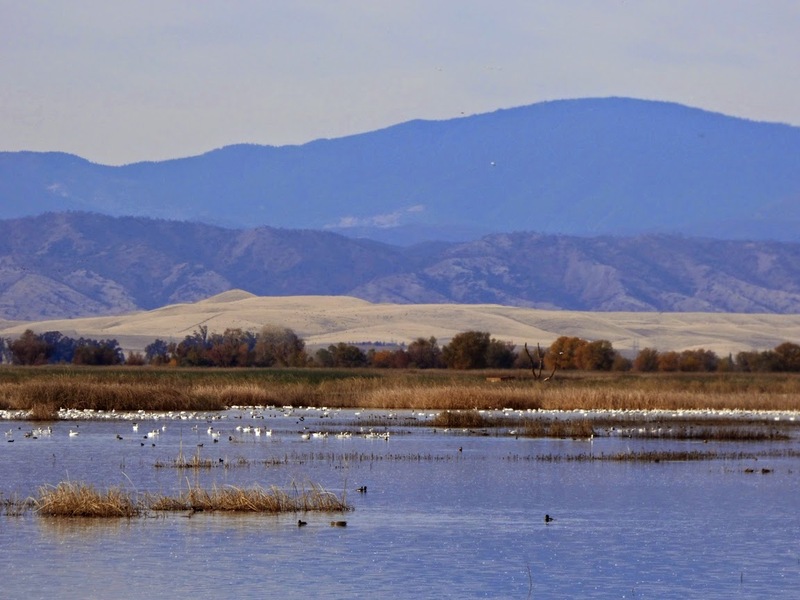 In places like Bakersfield, the thickness of the sediments approaches 10 miles. In my neck of the woods, they reach half that, a mere 25,000 feet or so (sort of an upside down Mt. Everest). The "primeval" valley was mostly a dry savanna or short-grass prairie, more desert-like in the south, more oak woodland in the north. 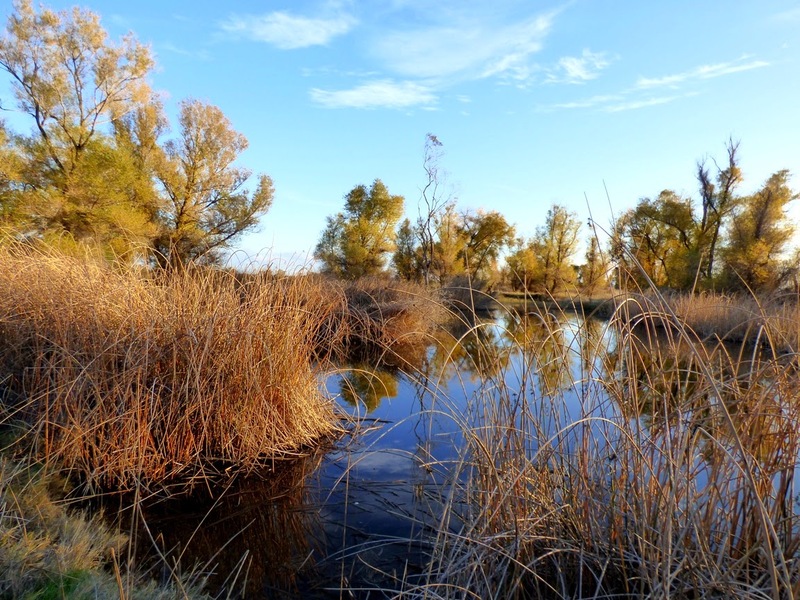 Dozens of rivers flowed out of the Sierra Nevada, providing hundreds of miles of riparian habitat. The rivers at the south end of the valley ended in huge ephemeral lakes, the now dry Buena Vista and Tulare lakes. Until 11,000 or 12,000 years ago, the valley teemed with horses, camels, antelope, bison, mammoths, mastodons, sloths, bears, sabertooth cats, lions, and dire wolves. After the great extinction at the end of the last ice age, the valley still had vast herds of pronghorn antelope, deer, and tule elk who were hunted by wolves, coyotes, grizzly bears, and mountain lions, and the new arrivals, the humans. For birds, the valley was paradise. Sure, when the weather got hot billions of them migrated far to the Arctic north where they could consume the trillions of bugs and breed, but when the winter came, they migrated back to the snow-free Great Valley and fed on the marsh grasses, berries, fish, amphibians and bugs that lived along the rivers, marshes, lakes and other wetlands in the verdant valley. So it was that I was visiting one of the few spots in the valley where one could imagine the way things once were before the agricultural revolution. 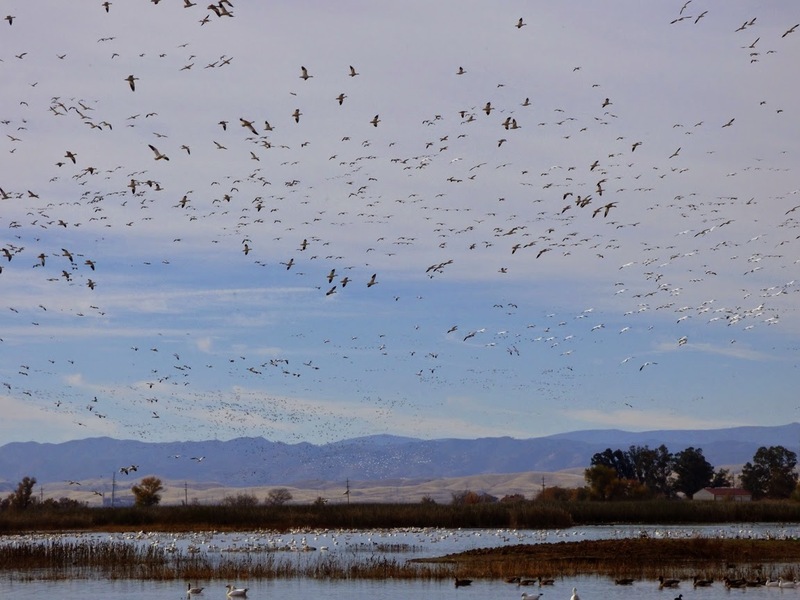 The Sacramento National Wildlife Refuge is one of a series of reclaimed farmlands and marshes that serve as a winter home of hundreds of thousands of geese, ducks, cranes, and other migratory fowl, as well as the yearlong resident birds and other animals. It is, in fact, a highly regulated landscape, with square plots that are flooded some years, dry in others, managed in such a way as to provide as much forage for the birds as possible. But it recalls the primeval environment. Driving along the auto loop, we were quietly amazed at the sheer numbers of birds. There were thousands of Snow Geese, and at one point literally all of them took flight. 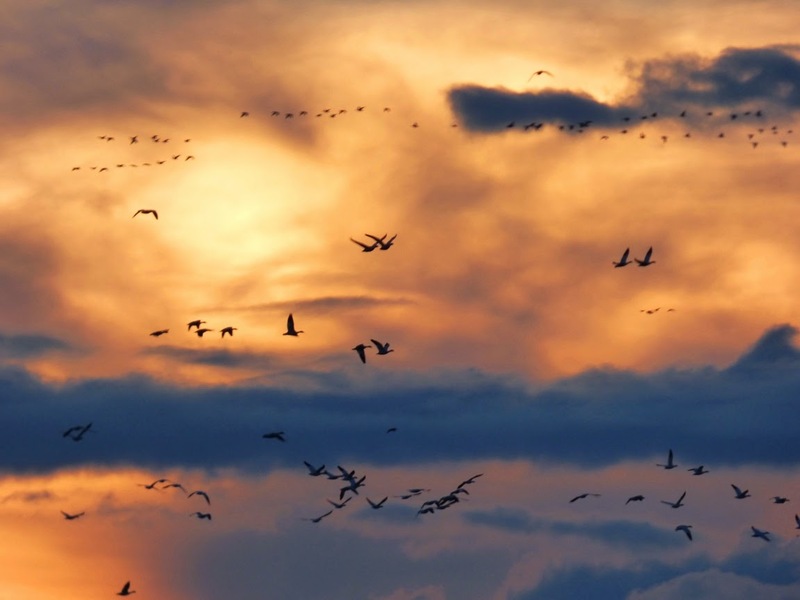 The rush of thousands of flapping wings was like the sound of a jet plane. A lot of us kind of take the Great Valley for granted. It's actually not the nicest place in the world to live, with foul air, dust and heat in the summer, cold tule fogs in the winter, high unemployment rates, and crushing poverty in many areas. But it is we who feed the rest of the state, and much of the rest of the country. We've made a kind of devil's bargain with the land, wresting as much nutrition as we can from the soil, and leaving a bit of the leftovers for the others who inhabit the planet with us. But if you can, give our valley a look, especially on a clear winter's day. 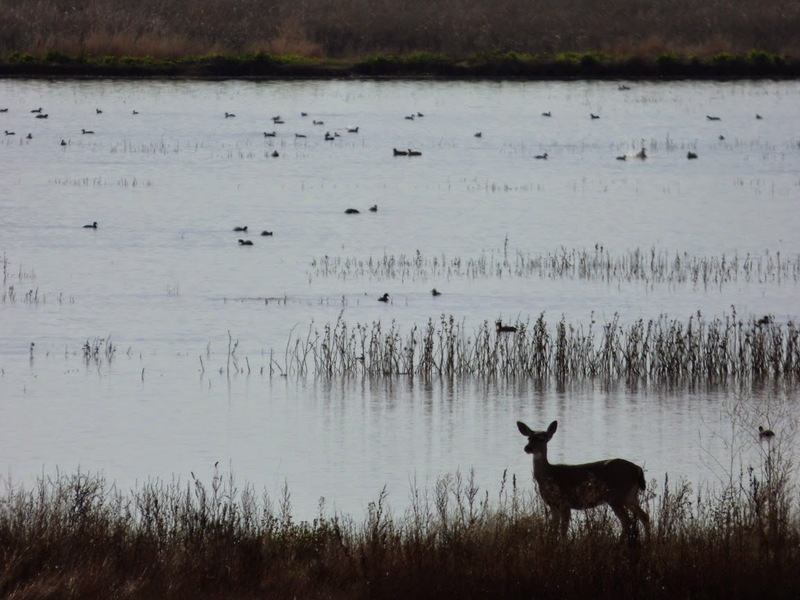 I suggest a stop at a place like the Sacramento National Wildlife Refuge just off Interstate 5 near Willows, or the Merced National Wildlife Refuge near Merced and Los Banos. You will be truly astounded to realize that we have our own small version of the Serengeti right here in the middle of the tilled fields.